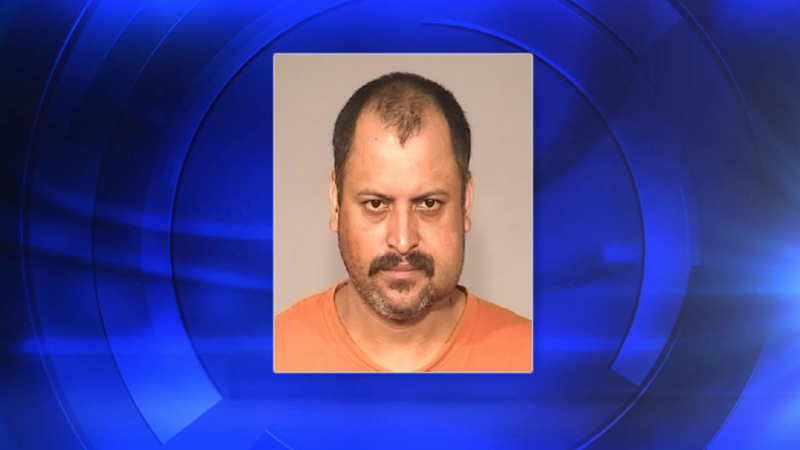 FRESNO, Calif. -- A 40-year-old Fresno father was arrested on Friday for allegedly stabbing his 21-year-old son during an argument over beer. Fresno police responded to an apartment complex at Fruit and Dakota avenues around 5 p.m. and found the victim with a cut to his chest and right shoulder. "The victim had said that when he failed to bring beer home from work, his father started a fight with him and then stabbed him," police said in a news release. While officers provided first aid to the victim, a patrol sergeant followed a blood trail back to an apartment unit, where the suspect -- identified as Jesus Adrian Espinoza -- was arrested as he tried to walk away, according to authorities. Officers said they recovered the weapon believed to have been used in the stabbing. Espinoza was expected to be booked into the Fresno County Jail on suspicion of assault with a deadly weapon.